The Ferry Seed Company was founded in Detroit in 1856. A large farm was established near the corner of East Ferry and Woodward to grow the seeds that were sold across the nation. The company continues to help plant the nation’s gardens as the Ferry Morse Seed Company but they no longer develop their seeds in downtown Detroit. In the mid-1880s, D. M. Ferry began subdividing his farm, selling the plots to prosperous Detroit industrialists and businesses that had made their money in the emerging metropolis. Many of them built exceptionally attractive, large mansions along East Ferry, the homes that you see today. Shortly after the recession of the early Nineties, the area was filled with attractive homes. who had been confined to the Black Bottom along Hastings Street discovered that they were able to purchase impressive homes from departing Jews. Upper-class blacks moved into this East Ferry Street neighborhood. The Omega Psi Phi fraternity and the Lewis College of Business are located along East Ferry. After World War I I, the Merrill Palmer Institute, then and now housed in the impressive Charles Freer home designed by Wilson Eyre, purchased several homes along East Ferry, including those now occupied by The Inn on East Ferry Street. The Merrill Palmer Institute, for some years, offered an undergraduate degree for school teachers. They hoped to expand their training in education and psychology, but eventually they ran through their endowment and eventfully merged with Wayne State University. In the 1960s or 1970s, the Detroit Institute of Arts (DIA) proposed a major expansion, with a large new wing to be erected on the northwest corner of their beautiful building. The area along East Ferry was seen as an ideal location for a large parking lot, so DIA purchased the homes that the Merrill Palmer Institute sold. However, after the late 1960s, the DIA faced financial challenges. They allowed the homes on East Ferry to decline in anticipation of razing them, but in the mid 1990s, they recognized the futility of their expansion. The Inn on East Ferry Street purchased four of the homes that had been owned by Merrill-Palmer and by the DIA and converted them into a very attractive bed and breakfast. The homes and this bed and breakfast provide an excellent example of converting century-old homes into a new and, presumably, profitable use. 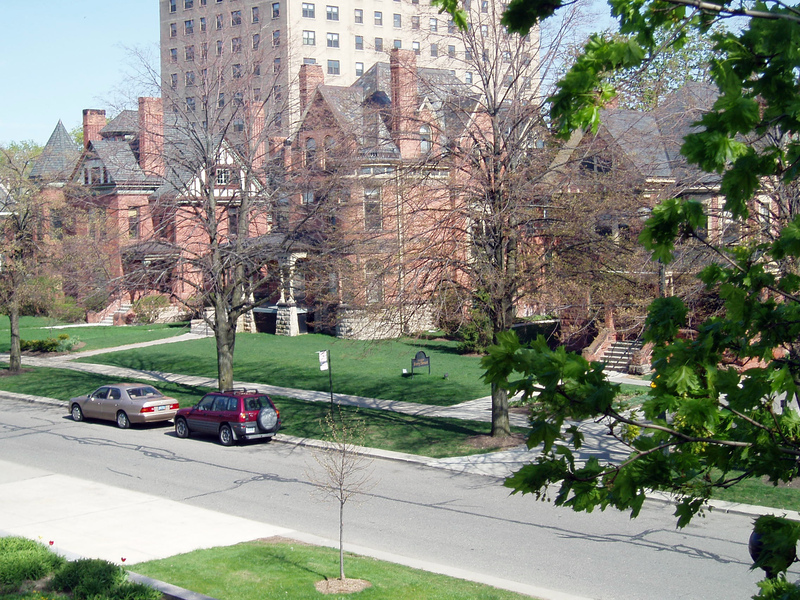 There are many attractive neighborhoods within the city of Detroit. The Cultural Center, the East Ferry Local Historic District and the Wayne State campus are interesting and attractive. As you walk northeast on East Ferry toward Brush, you will realize that the preservation of the magnificent Colonel Hecker and Charles Lang Freer homes and the refurbishing done by the Inn on East Ferry, have been complemented by a major construction of new homes on East Ferry, but homes that are architectural congruent with the designs architects executed during the first and second Cleveland administrations. Architects: Louis Kamper designed the Colonel Hecker home at East Ferry and Woodward. Wilson Eyre desinged the adjoining Charles Lang Freer home. I do not know the names of the architects for other homes in this historic district. 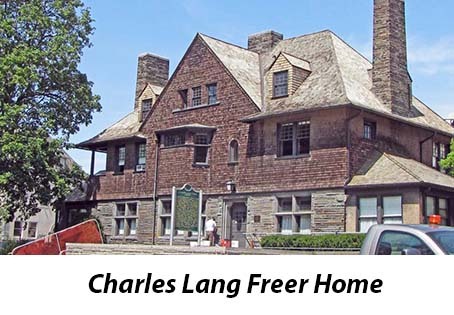 Use in 2010: Wayne State used the Charles Lang Freer home. 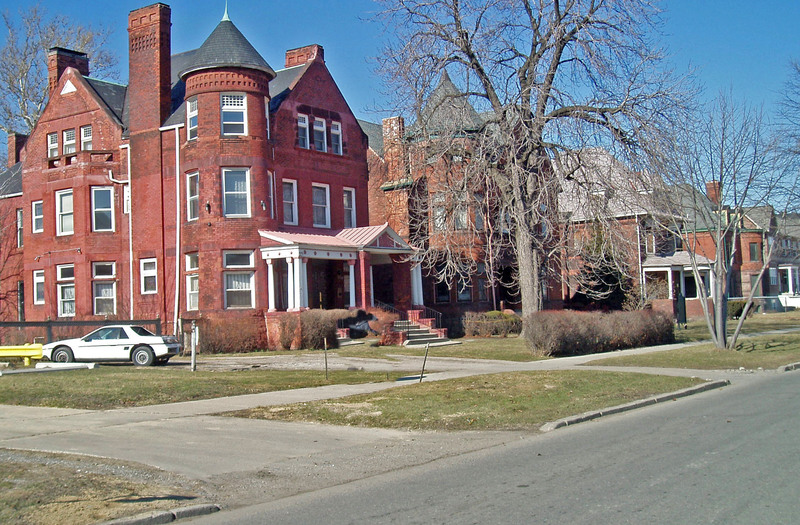 City of Detroit Local Historic District: This includes East Ferry Street between Woodward and Brush. Listed July 17, 1981. National Register of Historic Places: # 80001921; Listed March 10, 1980. This district included 22 buildings.